Acupressure Foot Roller Hard Wooden Foot relaxation and pain relief. Press your foot over the roller daily for 5 to10 minutes and warm up your leg. 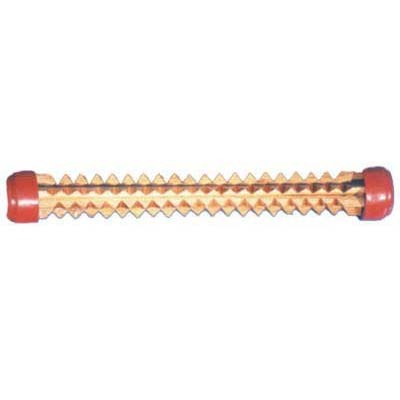 Acupressure Foot Roller-Hard Wooden Arthritis sciatica, leg pain, gouts, improves digestive system and blood circulation. Made up of standard wood supported by two plastic wheels to give full clearance from the floor, Long life instrument, gives complete economic satisfaction, consists of pyramid points to recharge your body.